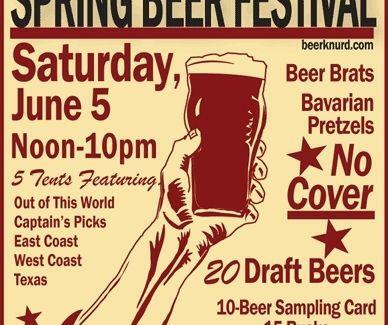 The Ray Hubbard Saucer's inaugural tasting centers around 5 theme tents -- East/West Coast, Texas, Captain's Picks, and Out Of This World -- each showcasing 4 seasonal, cask, or special-edition beers. Notables include the OOTW tent's La Chouffe, Ommegang Witte, and poppy-seeded, heather honey-infused BrewDog Dogma, whose Scottish brewers say "This beer is not cool. You may think it is, but that is just a beautiful lie fabricated by clowns and gypsies" -- though if you're hobnobbing with clowns and gypsies, you could probably skip beer altogether.